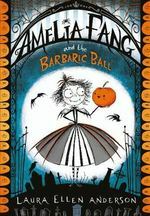 We have received 35 reviews of Amelia Fang and the Barbaric Ball . You can add a review or scroll down to read reviews. To send in your review of Amelia Fang and the Barbaric Ball , please fill in the info below and click the button labelled Send Review Now. Reviews will be checked by our team before they appear on the website. Your last name will not appear on the site, but we need to know who you are in case you win a prize! Laura Ellen Anderson lives in London and has been a children's book illustrator since graduating from the University of Falmouth, with a 1st Class Hons degree in Illustration in 2010. She has now taken the step of writing and illustrating her own books. When not working, Laura enjoys doodling for fun, making 3D models of her characters, creating Harry Potter fan art, baking and making ‘To Do’ lists. She has a golden Labrador called Scooby! Fact 1: Laura’s second book in the series, Amelia Fang and the Unicorn Lords, is due to be published on 8th March 2018. There will be three books in the series. Fact 2: Laura is the first female to have illustrated a Terry Pratchett book. She recently illustrated the covers of the new editions of Pratchett’s Tiffany Aching series, and illustrated 21 covers of the new editions of Enid Blyton’s Famous Five. Fact 3: Laura is the creator of the Evil Emperor Penguin comic strip found monthly in The Phoenix. Evil Emperor Penguin is also available as two graphic novels. Fact 4: Her debut picture book as author and illustrator, I DON’T WANT CURLY HAIR, was published in March 2017 and her second picture book in the I Don't Want... series is to be published soon. I really liked this book. It was my favourite. I liked that good was bad and bad was good. Ethan gave Amelia Fang and the Barbaric Ball 5 out of 5 and now plans to read Attack of the Alien Dung! by Gareth P Jones. Amelia Fang is full to the brim with adventure . I really enjoyed it. I thought it was a bit funny to. Hannah gave Amelia Fang and the Barbaric Ball 5 out of 5 and now plans to read Knighthood for Beginners by Elys Dolan. I LOVED THIS BOOK IT HAD SOME FUNNY NAMES IN IT I LOVED READING IT WITH MY MUM ALL I WOULD DO IS READ AND READE AND READ AND READ IT EVERY SINGLE NIGHT FROM BACK TO FRONT A MILLION TIMES!!!!!!!!!!!!!!!!!!!!!!!!!!!!!!!!!!!!!!!!!!!!!!!!!!! KATIE gave Amelia Fang and the Barbaric Ball 4 out of 5 and now plans to read Greta Zargo and the Death Robots from Outer Space by A F Harrold. I liked Amelia Fang because it was funny.It would be something I would recommend. It has a good mystery. If I could be a character I would be Amelia. Bethany gave Amelia Fang and the Barbaric Ball 5 out of 5 and now plans to read Attack of the Alien Dung! by Gareth P Jones. I loved this amazing mysterious book i loved the mysterious character of Amelia fang and the most adorable pet known to man Squashy her adorable pet pumpkin this book is by far my favorite book that i have ever read that was to do with this incredible Leeds book award i recommend that this book would be suitable for eight to twelve year old as the words are quite gruesome and they are hard words in it.I LOVEEEE THIS BOOK! ben gave Amelia Fang and the Barbaric Ball 5 out of 5 and now plans to read Attack of the Alien Dung! by Gareth P Jones. I absolutely loved it ! Sqaushy the pumpkin was super cute.My favourite character was Amelia fang as.she looked after everyone ? Emma gave Amelia Fang and the Barbaric Ball 5 out of 5 and now plans to read Attack of the Alien Dung! by Gareth P Jones. I liked the character squashy and the map and the family portrait. Savannah gave Amelia Fang and the Barbaric Ball 4 out of 5 and now plans to read The Incredible Dadventure by Dave Lowe. I think that the book is good because it is realy fun to read and it is easy to read. Eleanor gave Amelia Fang and the Barbaric Ball 4 out of 5 and now plans to read The Incredible Dadventure by Dave Lowe. Out of all the shortlisted books this was by far my favorite. i liked it because it contained mystery and surprise. I liked the fact that all her friends helped her on her quest.My favorite part was in the beginning when the book introduced Amelia fang and her friends. Samantha gave Amelia Fang and the Barbaric Ball 5 out of 5 and now plans to read Attack of the Alien Dung! by Gareth P Jones. samar gave Amelia Fang and the Barbaric Ball 5 out of 5 and now plans to read Attack of the Alien Dung! by Gareth P Jones. Muktar gave Amelia Fang and the Barbaric Ball 5 out of 5 and now plans to read Attack of the Alien Dung! by Gareth P Jones. Taio gave Amelia Fang and the Barbaric Ball 5 out of 5 and now plans to read Knighthood for Beginners by Elys Dolan. Charlotte gave Amelia Fang and the Barbaric Ball 3 out of 5 and now plans to read Greta Zargo and the Death Robots from Outer Space by A F Harrold. I like this book because I thought it would be scary but it's not . Rian gave Amelia Fang and the Barbaric Ball 5 out of 5 and now plans to read The Incredible Dadventure by Dave Lowe. Milan gave Amelia Fang and the Barbaric Ball 5 out of 5 and now plans to read Attack of the Alien Dung! by Gareth P Jones. This book was really interesting and in the story the plot is full of surprises which had me gripped. I would recommend this book to everyone! Lily gave Amelia Fang and the Barbaric Ball 5 out of 5 and now plans to read Me and Mister P by Maria Farrer. Harrison gave Amelia Fang and the Barbaric Ball 5 out of 5 and now plans to read Attack of the Alien Dung! by Gareth P Jones. Amealia Fang is a amazing book about a prince who is really mean but is kind in the end.This book told me to be kind to one another and respect are differences. Lily-Rose gave Amelia Fang and the Barbaric Ball 5 out of 5 and now plans to read Attack of the Alien Dung! by Gareth P Jones. This book is excellent because it is full of funny characters and there is a boy that is really mean but Amelia sure does know how to stand up for herself and has a few tricks up her sleeve. Nadia gave Amelia Fang and the Barbaric Ball 5 out of 5 and now plans to read The Incredible Dadventure by Dave Lowe. I liked this book because it was a great way of showing you need to be kind to other people even if they are different. I like this book because it shows not to be greedy, it makes people upset if you take their stuff like Sqaushy Amelias pet orange. Isabella gave Amelia Fang and the Barbaric Ball 4 out of 5 and now plans to read Attack of the Alien Dung! by Gareth P Jones. I loved Amelia Fang and the Barbaric Ball because I like how creative you were with all the characters and I found Florence really funny because of how she spoke.I've got a question, would you like Squashy as a pet?, because I know I would! Alfie gave Amelia Fang and the Barbaric Ball 5 out of 5 and now plans to read Attack of the Alien Dung! by Gareth P Jones. I loved this book it had lots of suspense and made you want to read on. I liked the way it made you think Tangine was horrid but then we found out he had a secret. Florence was my favourite character because she was funny. Woo was also good because he was nice to Amelia. Amelia doesn’t give up and is a strong and greave character. Zak gave Amelia Fang and the Barbaric Ball 5 out of 5 and now plans to read The Incredible Dadventure by Dave Lowe. I liked to see that on this book the unicorns were evil because it normaly doesn't happen in books só liked that part but it got boring when Amelia went on adveture it didn't have that much danger on it. João gave Amelia Fang and the Barbaric Ball 3 out of 5 and now plans to read Attack of the Alien Dung! by Gareth P Jones. This book was really good.It takes me on a adventure.I would recommend it to younger kids.Some parts it was a bit boring though. Isabelle gave Amelia Fang and the Barbaric Ball 3 out of 5 and now plans to read Knighthood for Beginners by Elys Dolan. Its an amazing book and it is probably the next book I have ever read in my life but certainly not the longest. I liked the funny pictures and the fuuny events that happen in the book. Patrick gave Amelia Fang and the Barbaric Ball 5 out of 5 and now plans to read Greta Zargo and the Death Robots from Outer Space by A F Harrold. I loved this book because it was about vampires and I LOVE them!! !I recormend this book will be good for children. Jeevan gave Amelia Fang and the Barbaric Ball 5 out of 5 and now plans to read Attack of the Alien Dung! by Gareth P Jones. My favourite charicter is sqashy because he/she is so cute! It is so good!Im defently going to by this book! olivia gave Amelia Fang and the Barbaric Ball 5 out of 5 and now plans to read Attack of the Alien Dung! by Gareth P Jones. I thought it was quite good. There were a lot of funny parts in it. I loved it when the King came round for tea with the Prince and I really liked the cut pumpkin - "Squashy". Alexie gave Amelia Fang and the Barbaric Ball 4 out of 5 and now plans to read Knighthood for Beginners by Elys Dolan. My favourite character was Squashy the pumpkin - he bounces up and down all the time. I loved what happened to the prince and his experience with the troll slime. I would recommend this book to my class teacher and ask her to read it to the rest of the class. Carlos gave Amelia Fang and the Barbaric Ball 5 out of 5 and now plans to read Attack of the Alien Dung! by Gareth P Jones. amazing! i absolutely adore this book because it has amazing vocabulary and it has epic illustrations. i think i would, if i could, give this book 100 out of 5. Even though this book is not mine, i am definitely buying it. i love it! Maisy gave Amelia Fang and the Barbaric Ball 5 out of 5 and now plans to read The Incredible Dadventure by Dave Lowe. I loved this book because it was funny especialy the silly characters in it. Jessica gave Amelia Fang and the Barbaric Ball 5 out of 5 and now plans to read The Incredible Dadventure by Dave Lowe. he was really upset from being away from Amelia.My worst character is Tangie because he is bossing everyone around! Nada gave Amelia Fang and the Barbaric Ball 5 out of 5 and now plans to read Attack of the Alien Dung! by Gareth P Jones. I loved the part when Amelia had to brave and come to the rescue. It was an exciting book with lots of twists and turns. Francesca gave Amelia Fang and the Barbaric Ball 5 out of 5 and now plans to read Greta Zargo and the Death Robots from Outer Space by A F Harrold. I loved this book so much,I like where they call each other names like darkness instead of darling.A fab book very recommended book!!! 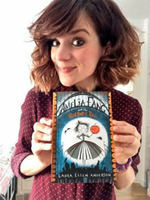 Ana Maria gave Amelia Fang and the Barbaric Ball 5 out of 5 and now plans to read Attack of the Alien Dung! by Gareth P Jones. I liked this book because the characters were funny and it was exciting when they rescued squashy. It was a good idea to say the creatures of the dark were scared of the creatures of the light. It would be better if there were more big event but I liked it a lot. Holly gave Amelia Fang and the Barbaric Ball 4 out of 5 and now plans to read Attack of the Alien Dung! by Gareth P Jones.